Are they ready for heaven? Coming from South Africa, I have grown up seeing poverty on my door step. My mother works in a rural area with children affected by HIV; there are homeless at the robots (traffic lights) begging for money to support their families; there is hurt that has built up for years due to our country’s history. There is desperation. So when I arrived in Ethiopia, although poverty is more in your face and street kids can be seen sniffing glue in broad daylight, it was not a big culture shock to see people in desperation. In some ways I had grown so used to seeing people in need that I was no longer affected by it. Seeing the reactions of other expats was difficult for me as I felt like I had a heart of stone and no compassion. Familiarity had bred contempt. On Friday night I watched the movie The end of the spear. It is a true story told from the view of Steve Saint. Steve’s father (Nate Saint) was one of five missionaries (along with Jim Elliot) who was killed at the end of the spear by the Wodani tribe in Ecuador. Nate and the other missionaries had exchanged gifts with the natives for several months prior to flying in and meeting them in person, when they were attacked and killed. Before leaving on that day Steve asked his father “If the Wodani attack, will you defend yourself? Will you use your guns?” to which Nate responds “Son, we can’t shoot the Wodani, they are not ready for heaven, we are”. This line really struck a nerve in me and brought me to tears. I am ready for heaven but there are so many people who are not. People who we see every day. People who are desperate but who we are so used to seeing that we no longer really see them. Are they ready for heaven? Two years after the men were killed, the wife and sister of two of the missionaries that were murdered returned to live in the same village as the tribesmen who killed their loved ones. They continued to share the gospel. At the end of the film, Steve returns to Ecuador with his wife. He finds out that Mincaye, one of the tribesmen who he had gotten to know well as he grew up, was actually the one who killed his father. According to the Wodani, it would have been expected that Steve avenged his father’s death by killing Mincaye. In a heart wrenching scene, we see how broken Mincaye and Steve are after Micaye admits he was the one who took Nate’s life. Steve responds that no body took his father’s life. He gave it. It is so easy to become complacent and detached from the unreached and we can come up with a million excuses as to why it is like that. But our Father gave His life for them too. Are they ready for heaven? While I was in Ethiopia, Naomi and I visited the CURE hospital. CURE is an international non profit organisation which functions in 26 countries. They are doing amazing work. Primarily they work with children who have conditions such as clubfoot, bow legs, cleft lips, burns and hydrocephalus. To find out more about CURE in general, you can follow this link to their webpage. CURE Ethiopia has been going since 2008. This hospital is primarily for paediatric orthopaedics. They are also able to provide orthopaedic training to orthopaedic fellows. They have 8737 outpatients each year and perform 2650 operations. In Ethiopia, to have a physical deformity is considered a curse; not only the child with the deformity but the entire family is often ostracised and cast out from society. There are children who come to the hospital who have never been outside their own villages and some have never left their homes. At CURE, their physical condition is assessed and they are operated on as soon as possible, which may only be a year down the line. The wards are warm and friendly; they are airy and brightly painted and have a welcoming feel. Each child has a care giver who stays with them and the children and caregivers are given 3 meals a day. The pastoral team come and sing and do activities with the children each day. There is a wonderful feeling of joy in the wards. The new block was opened last year and it is here that children can stay for prolonged periods of time. Those who are from far away and who need physical therapy or serial plasters stay here until they are fully recovered and ready to go home. There is a garden for people to sit in, a balcony to eat on and an orthotics lab. This is where the braces, prostetics and other needed equipment is made. They are hoping to soon convert a large container to a wheelchair repair workshop. It was a wonderful day for me and spoke to the deep places of my heart where there lurks still the desire to be a medical missionary. For me, CURE Ethiopia is an example of witnessing at its best. There is practical help, reaching out and meeting a physical need that would otherwise be unmet. The practical help is in itself life changing. BUT, it doesn’t stop there. The staff at CURE are concerned about spiritual health as well. It is a place where your all round needs are taken care of and it is done with love, compassion and kindness. What a great example to us. Please pray for Cure Ethiopia. Thank God for the work they are able to do and the lives they have changed. Thank him for the great schools near by which allows the children of staff to get a good education. Thank him for the staff who come from all over to serve here. Thank him for the local staff and the example they are to those around them. Pray for continued favour from the government; pray for energy and passion for the staff; pray for equipment to work; pray for the pastoral team, for wisdom, courage and discernment. Pray specially for more doctors to come – they are in great need of a paediatric anesthetist. Pray that God would provide, and if you happen to know one – pass on this post to them. My sister, Rebekah, is visiting for a few days and we took a trip up to Lalibela, in the north of Ethiopia. To get there we had a short plane ride in a very small plane and then a 30 minute taxi ride up the mountain. Lalibela is most famous for its rock churches. These churches were built in the late 1100s, early 1200s under the rule of King Lalibela. They were carved from the ground DOWN, into the rock and were carved out of a single piece of rock. Legend says that the churches took 23 years to build because they had spiritual help, science says it would have taken at least 250 years. These churches are still actively used for worship and mass takes place every day from 12 until 14.30 or 15.00. On a Sunday 1000s of people come to the churches and over Christmas Lalibela gets about 200 000 visitors. The churches are Ethiopian Orthodox which is a combination of Roman Catholic and Greek Orthodox. The attention to detail in the buildings and the symbolism is absolutely astounding. The services are led by the Priests who leave their families at age 6 or 7 and go to study for about 10 years. In this time, they do not leave the school to go back to their families. The language spoken in church is Ge’ez, the ancient language of Ethiopia. The chants and prayer books are in this language, however, there are copies of Amharic which is the local language spoken by the people. Many would have a copy of the prayer book at home but they prefer to pray in the church as it is believed that the Spirit is there, therefore the prayers are more powerful and they can get more blessings. Ethiopians will receive blessings from touching the priest who was in the Holy of Holies during the service; from eating the beans that are given to them at the church; from kissing the crosses that priests hold and from kissing the walls of the churches. It was an absolutely amazing experience and it was awe inspiring to see the amount of work that people put into their churches and the devotion with which they attend and fast and the effort they put into their religion. It left me with two over aching thoughts. The first was a question to myself; do I give God the time and effort which is His due? These churches are a testament to the devotion people felt and feel towards God. The fear they had of Him; the respect which is due to Him purely because of who He is. In my life, do I do the same? Do I give Him my best effort, my best time? The second thought was how ritualistic the services are. We are not only allowed to but encouraged to take photos of the services, the churches, the priests and the holy pictures, crosses and writings. This made me a little bit sad as it seems like the whole place has become for tourists, a way to make money. I couldn’t help but wonder how much was for show. Again, this was a challenge to myself: how much of my relationship, what I do and say and how I act, is for show? Am I genuine, do I seek God in the quiet places in my heart and invite Him to take over all of me. Or do I just do what people can see? None of us know the number of our days. God is the Sovereign Lord of all. It is HE who numbers our days and HE alone who knows them. We do not know when it is our time. James 4 reminds us of this. We put so much effort and time into making this life easy, this life better. Have we put enough effort into that which lasts forever? declares the Lord. As the heavens are higher than the earth, so are my ways higher than your ways and my thoughts than your thoughts. As you think about the plane crash, the terrorist attacks, the cyclones and the floods may you be spurred on to live each day for God, to make it count in the spiritual realm. May you speak with love and kindness and may you trust in the goodness and sovereignty of God. A little while ago the grade 7s went to the grade 4s to help them with some maths and to teach them. It was a really good exercise, the grade 7s learnt patience and perhaps to have a little more respect for their teachers and the grade 4s really enjoyed the time that the older children put into helping them. 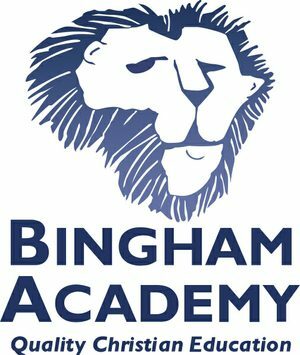 It was an important lesson in mentoring which we are trying to get a little bit more established here in Bingham. The whole process made me think quite a bit. I have been blessed to be incorporated into a number of families here and I am something of a mix between sister and aunt. There is enough of an age gap between me and the children that they do listen to me and respect my authority. At the same time, I am not as old as their parents so we can have a little bit more of a relaxed/informal friendship. In each of these families, the mothers talk to, help, encourage and rebuke me. And I teach and try to mentor the children. There is a continued cycle – in theory. This reminded me of something I heard a few years ago. Everyone needs a Paul, a Barnabas and a Timothy. Paul is the person who is teaching you – they are older than you, more spiritually mature and you look to them to guide you and correct you when you need correction. Timothy is the person you are teaching – they are younger and are looking to you to correct them and guide them; they are watching your life as an example of how to live. Usually these two are easy. It is the Barnabas that is the problem. Barnabas is the friend – the one at the same phase of life and level as you; the one who walks beside you; who you lean on and trust in the day to day of life. I have been fortunate that here at Bingham, I see this played out. I am mentored by some amazing women of God who challenge and encourage me. I mentor their children and the other children in my class and I have been blessed with friends who are spiritually mature and asking the same questions I am. When you have all three in your life, it truly is a blessing. This week ask yourself – who is my Paul? Have I thanked them, told them what their influence and guidance has done for me? Have I thanked God for them? Who is my Timothy? Have I faithfully led; has my life been worthy of following? Have I prayed for their growth? Lastly, who is my Barnabas? Do I have one; if not, who could become Barnabas to me? Am I open and honest, do we pray together? Last week I, Rebekah, told Naomi that I would write a blog post for her. On January 19 it is Timkat in Ethiopia, a day when they have parades to celebrate the Epiphany, the moment when Jesus was baptised and God revealed Him to be God Incarnate. I told Naomi that I would research a bit about it and would write her a post. But it didn’t happen. I allowed the week to get away from me and I did not research or write for her. Recently I have been quite challenged that I should do what I say and say what I mean. If I say I am going to do a blog post – I must. If I say I am going to pray for someone, I need to pray. We should be people of our word, our word should be honourable. As it says in Matthew, let your yes be yes and your no, no. Too often, I promise things or offer help; with the best of intentions, but I am unable to follow through. This should not be so. My word should be my bond. Everytime we do not keep our word, we erode our witness just a little bit – we show ourselves to be untrustworthy and unreliable. Even more, we should mean what we say to God. When we pray, we should mean the words we say or think or write. If I ask God to grow my patience, I should be prepared for trials. If I ask Him to make me more Christ-like, I must take whatever comes my way. Our words are not meaningless. Not only when we pray but also when we sing. When was the last time we really looked at and thought about the words we sing? Do I mean that? If God took my husband, my children, my home, my job; would I still praise Him? Would I believe life is worth living? Do I live at peace knowing He is in control and I don’t have to fear? I sing these words to God but do I mean them? This week, my challenge to myself and to you, is to say what you mean and mean what you say. May we be people of honour, people of integrity, people whose word is their bond, people different to the rest of the world. From 27 December to 6 January I was fortunate to visit India to attend my cousin, Peter’s wedding. I enjoyed my time there and I was able to visit with family. It was an interesting New Year and the wedding itself was also very different to what I have been exposed to before. Apart from the fact that I got sick, my time in India was a good time. My trip back was another story. I had a long layover in the middle of the night on my way home and so I had booked a hotel room so that I could at least get a couple hours sleep. Well, that was the plan anyway. First I got dropped off at the wrong hotel. Then when I got to the right one, I wished it was the wrong one. The hotel was a total dive. It was dirty and smelly and there were stains in the bathroom and I did not want to get under the sheets. The manager was also not very nice at all. Although the website said I could pay with a card he said he only took cash; he also told me that I had to pay more than what the website said and he was not very understanding when I said I did not have that much cash on me. There was also confusion over who was fetching me from the airport and it was just generally a nightmarish trip back. The upside was that I was so happy to get back to Bingham. ; to see friends and to sit on my couch and shower in my shower and sleep in my bed. It felt like coming home and it was wonderful – all the pain and frustration of the trip back faded away and I slept so well and woke up feeling loads better. Isn’t that just exactly what life is like? This earth is not our home, we are just on a trip here. Sometimes we enjoy it here; we visit, we laugh, we experience new things. Sometimes we really don’t like it here. We have trials and tribulations, we suffer and we cry. Sometimes our trip is hard. We know though, that we have a great home which we can look forward to. A home so wonderful that all the pain of this world will fade into insignificance. A home so beautiful we will forget all that happened before we got there. If you are not having a good trip at the moment, if you are tired and frustrated and the world is not very helpful – just think of the home that you have waiting for you. Dream of our eternal home.